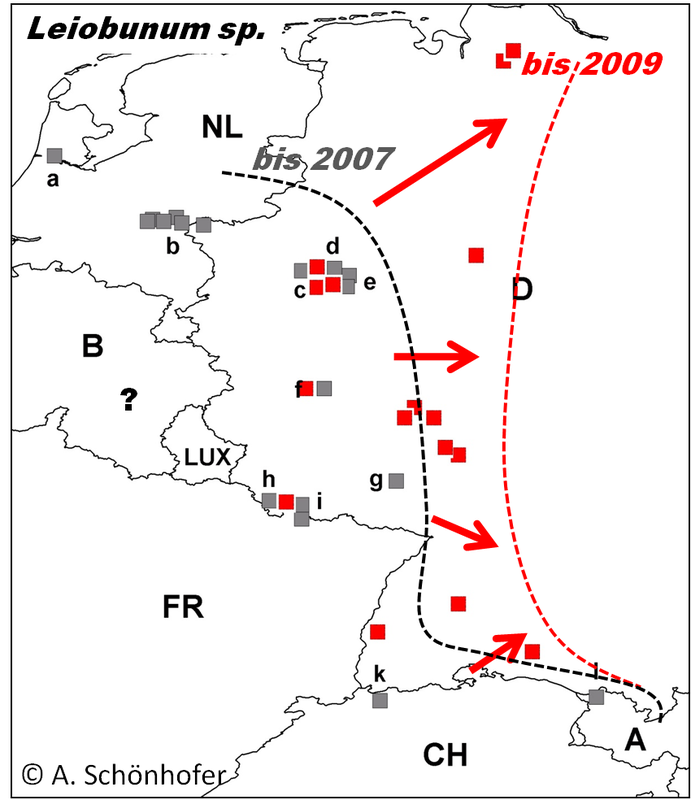 Based on a unfavorable edited radio documentary on invasive species by Deutschlandfunk and a subsequent report by Spiegel online, the summer slump in Germany 2008 was lifted a little and my summer was enriched with interviews to put the threat of the invading Leiobunum sp. into perspective. 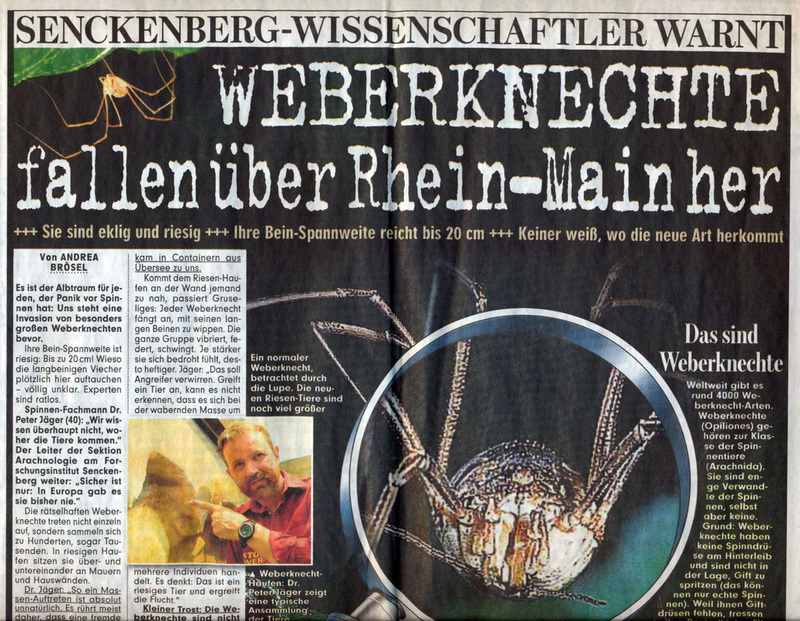 More information, as youtoube-videos, the original article and answers to frequently asked questions on the species (in German) can be found here.